No matter what diet you're on, this flavorful wonder soup is perfect for a quick snack or even makes for an easy meal that will leave you feeling full. This soup is a little out of character compared to the recipes I usually post, seeing as how it doesn’t include two cups of sugar or a pound of cream cheese, but that’s the whole point. Because, you see, I have a wonderful job (this little food blog) where I get to spend my days making tasty recipes… and I know they’re tasty because I eat them. And like that one day where I had the genius idea of snacking on parfaits all day long, it does catch up to me. It has caught up to me. I’m going to be real with you: my jeans no longer fit. In fact, they haven’t for a while now. But at least yoga pants are super comfy. So for the past couple of weeks, I’ve been trying to do everything a bit less – eat less, cook less, splurge less. I’ve also started the GM Diet again, which is a week-long program that’s one part diet and one part detox. Now, I have no authority to recommend the GM diet to anyone, but it’s working for me now (and in the past) to help jump start me toward more healthy habits. And one of my absolute favorite parts of the GM Diet? The GM diet soup. Now, the GM Diet doesn’t have full claim on a soup like this. Many other diets (such as Weight Watchers) have their own version of this soup to help supplement their meal plans. There are even whole diets based on eating nothing but this soup. 1 – It leaves you feeling satisfied and full. One of the hardest part of any diet is overcoming those hunger pangs, and I find that having this soup helps get me through the day with ease. … And if you’re anything like me, I’ll bet you’re giving that last sentence the side eye, since every time someone promises that a food is “filling” it ends up being anything but that. Have some large naval oranges handy. If you’re still feeling snacky after the soup, grab an orange. By the time you peel the fruit and finish eating, all the remaining hunger pangs will have passed. Sometimes you just need a distraction for your body to catch up to the idea that you’re full, and a fruit like an orange keeps you occupied while that happens (and helps top off any remaining room in your stomach). Can you make this diet soup in a crock pot? 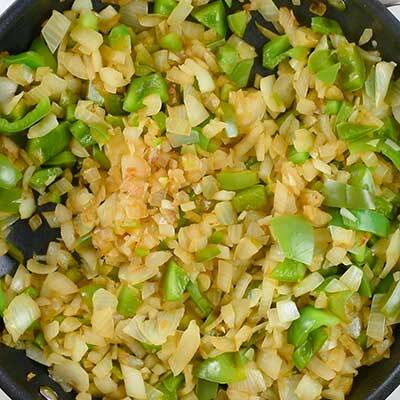 1 – Brown the onion and green peppers in a skillet first, then add them + the rest of the ingredients to a crock pot. Cook on LOW for 4 hours or on HIGH for 2 hours. 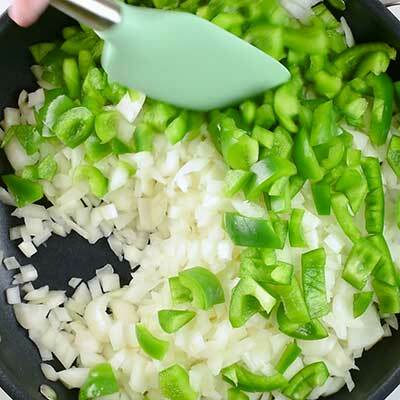 I recommend this method because browning the onion and green peppers first adds a nice flavor. 2 – Put everything in a crock pot and cook! And just like the first method, you would cook the gm diet soup on LOW for 4 hours or HIGH for 2 hours. Can I add more ingredients to this soup? It’s important to note that soup is intended to be a “base” soup. It can be eaten as it is or spruced up with other herbs and spices that align with your diet. My recommendations are limited on this because I already think the base soup tastes delicious so I haven’t experimented beyond that. However, if you simply can’t do without a little more flavor, you can substitute some (or all) of the water in this recipe for a broth of your choice (beef, chicken, veggie, etc). And if you absolutely must have some starch, try adding some potatoes, but keep it minimal; if your goal is weight loss, I’d recommend 1/2 a cup or less of potatoes or other starchy foods. No matter what modifications you make, keep in mind that the soup only works its “wonders” when you stay as close to the base recipe as possible. The more ingredients you add the further you may find yourself from that goal. How does this weight loss soup fit in your diet? Changing your eating habits can be a challenge, but no matter which method you use, always remember to keep a well-balanced diet. 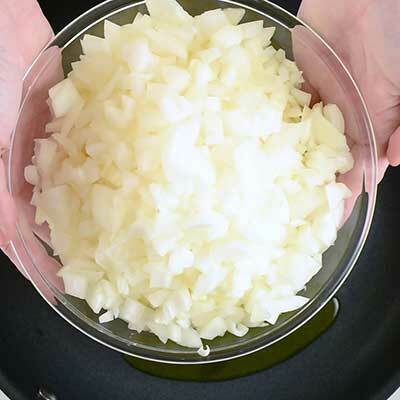 Keep in mind that there is a lot of prep work involved with this soup (30 minutes of chopping veggies, depending on your skill) and it takes a while to cook (1 and 1/2 hours). This is balanced out by the fact that you can eat this soup over the course of five days, so it’s almost like you’re prepping your food for the week. You can even freeze the soup if you find you’re not going to eat it all in time. And because this soup will last you five days, this recipe makes enough for five large portions. It might not seem like it in text, but that is a lot of soup. You will need at least a 12 quart stockpot to cook it and a few Tupperware containers to store it in. This recipe requires a lot of veggie chopping. 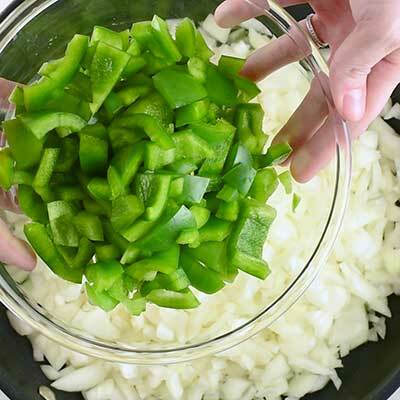 If you need tips on how to cut a green pepper, watch this video for a walkthrough. 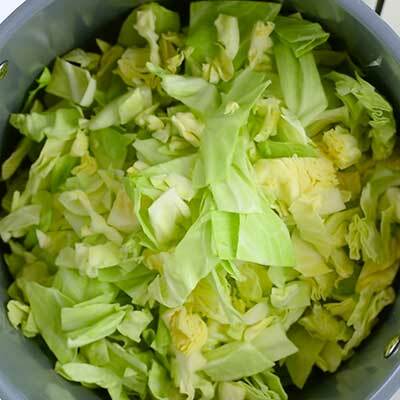 If you’ve never cut a cabbage before, watch this video on how to do it. 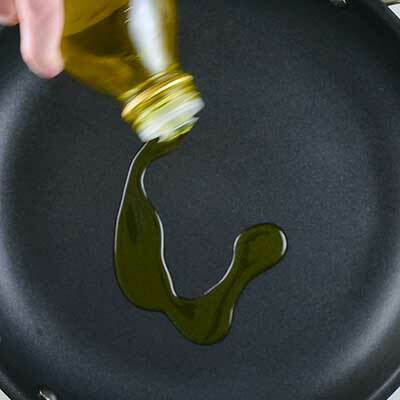 Step 1 – Heat up a large skillet over medium-high heat. 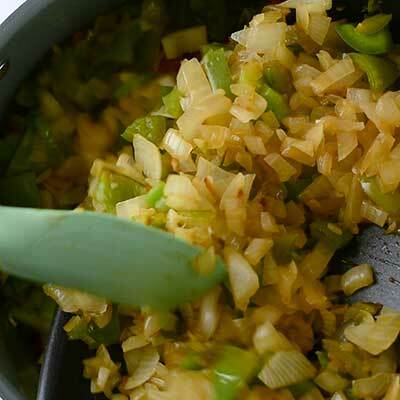 Add some olive oil (optional) then toss in the chopped onions veggies and green peppers. Cook the veggies, tossing every three to five minutes, until the water is cooked out and the onions are lightly browned, about 30 minutes. Remove veggies from heat and set nearby. 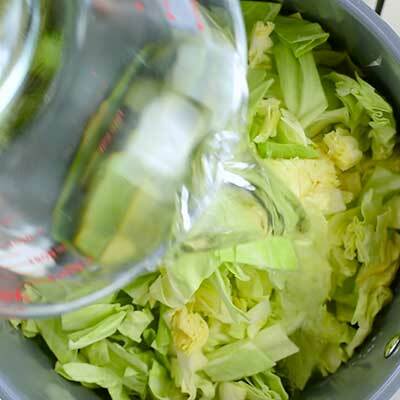 Step 2 – In a large stockpot, add cabbage, water, tomatoes, celery, and top it off with the veggies you just cooked. Step 3 – Heat the soup over medium-high heat until water begins to boil, then give the soup a stir. 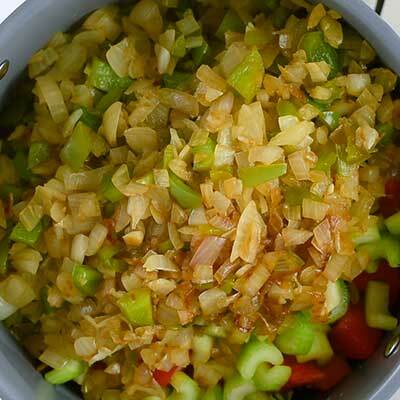 Reduce the heat to a simmer and continue to cook, stirring occasionally, for 50-60 minutes. 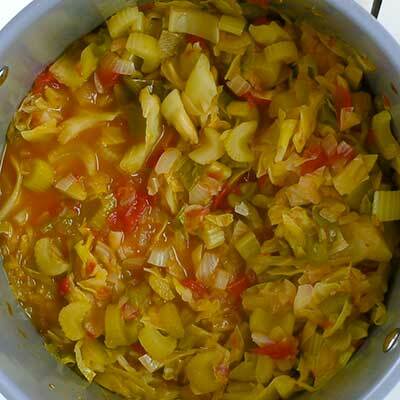 The cabbage will slowly cook down and the broth will be more visible once the soup is done. Do you think it is ok to use frozen veggies?Will i have the same weight loss benefits? 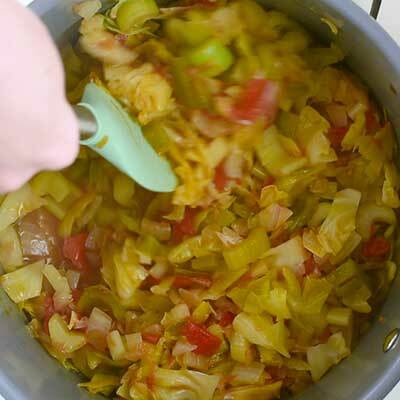 This is a really good soup, which helps to lose weight without any problems. 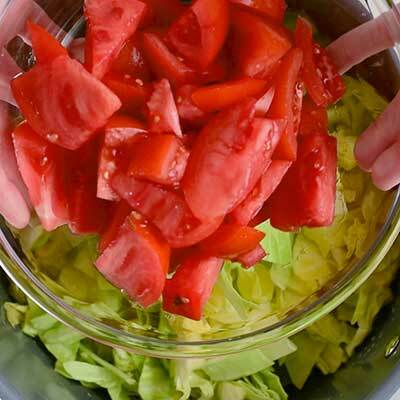 As the main method of treatment of the problem of excess weight, it will not work, but as an additional tool in the fight against excess weight, this soup is the most! Can you use chicken stock instead of water. I’ve made this soup when on weight watchers and to make it a little more nutritious I’ve added either lentils or canneli beans (from a can-rinsed off) or other beans that offer some sort of protein/nutritional factor. I’m glad I saw this recipe I’m going to make it this weekend to jumpstart my healthy eating next week now that all the holidays and celebrating is over! I found this soup nice a little flavourless so I added a mix of 1/4 teaspoon of dried ginger, cayenne pepper, & turmeric. I also added fresh continental parsley & chives & wow it came to life. Cayenne pepper is also a great appetite suppressant. The soup is good. I did not expect it to have as much flavor as it did. I like to make it and each time that I heat a bowl of it I add different spices. Sage, thyme and garlic or Tony Cachere’s, etc.